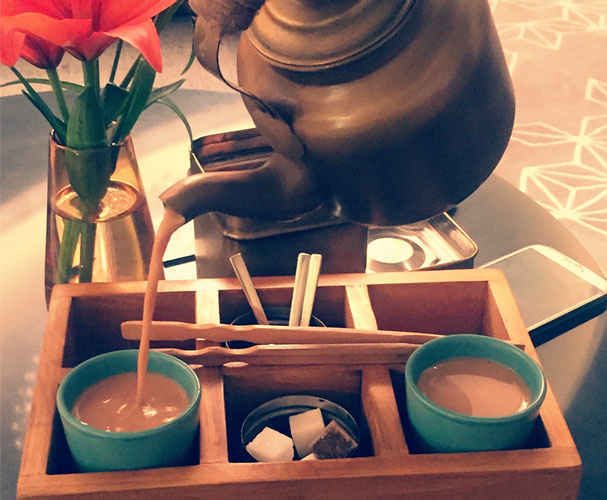 We were always of the opinion that street food can only taste its best when eaten on the streets, but Shangri-La’s recently launched Mister Chai has not only changed our opinion, but has also set the benchmark so high that we doubt it can be overtaken anytime soon! 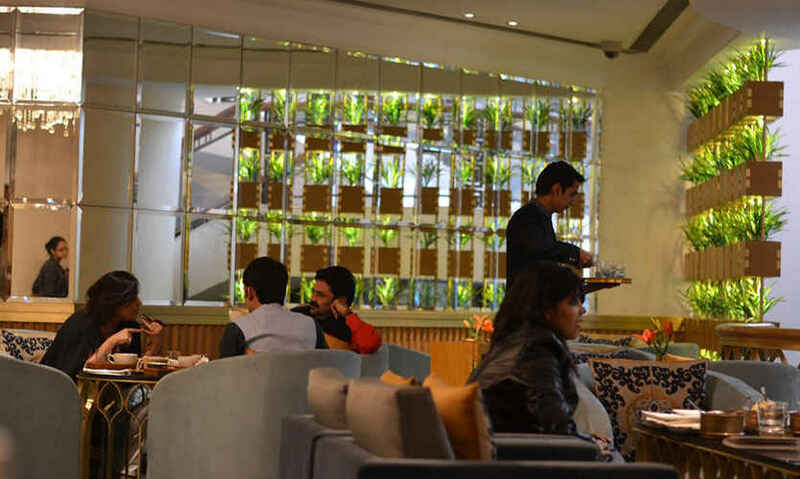 A regular lobby tea lounge earlier, the space has not been renovated but has been re-created. With a seating capacity of approximately 50 people, Mister Chai promises to provide a typical chai-chakna-like setting for its guests. Their underlying notion was not to follow the trend, but to set the trend! 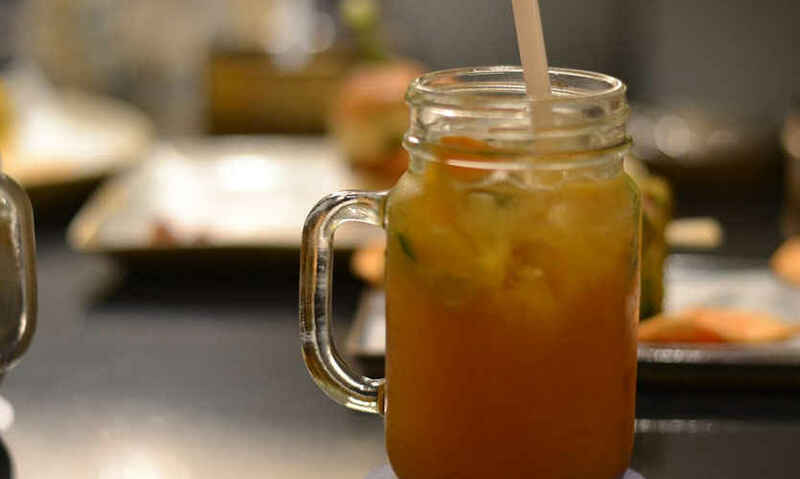 Neeraj Tyagi , their Executive Chef, and the brains behind the entire menu, was of the opinion that they should provide an authentic but at the same time hygienic and delectable street food experience to both their domestic and international guests. 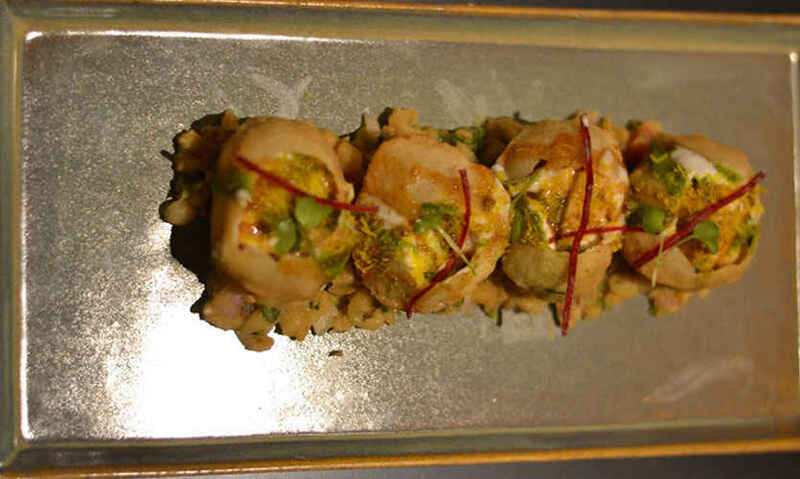 They draw inspiration from the various regions of India, and have tried to incorporate the flavours and essence of as many states as they could. What’s commendable is their hospitality and the pleasing atmosphere and vibe that the staff emits, making the experience one of its kind. Their menu is pretty interesting with little stories about the food that they serve; an addition which could easily keep you preoccupied! So here&apos;s us breaking down Mister Chai&apos;s fabulous menu for ya! We started out with Cutting Chai (obviously), which is their speciality. This brew is exactly the kind every tea connoisseur craves, thoroughly infused with ginger, cinnamon - et al. Note: more than the chai, the way they serve it will win you over - a small house-like box which comes complete with a kettle, a box of rusks and tiny blue colour cups. The next thing to hit our table was their Wao Pao, and we couldn’t agree with the name more! Guests have the option to choose from lamb, pork or the typical spiced potato. 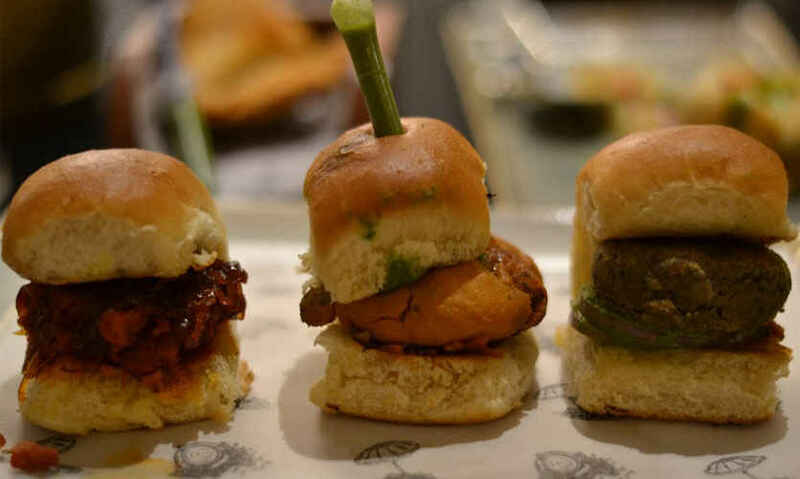 The best part was even though their non vegetarian versions were more like fusions from the West, it kept up with the authenticity of the Mumbai version of the dish. 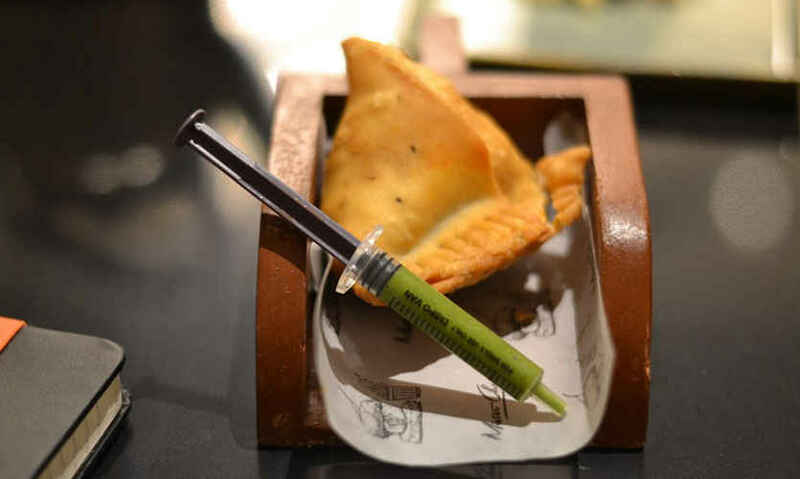 Their tikki was crisp and succulent, and it comes with a tiny syringe loaded with green chutney which makes it all the more better! Next up, we were served two different kinds of samosas - now this came as a surprise, for what was served to us was Butter Chicken Samosa and Chilly Cheese Samosa! Sinking our teeth into these hot, delicious samosas with our tongues sizzling was probably the best thing that happened to us that evening. We personally vouch for &apos;em folks! 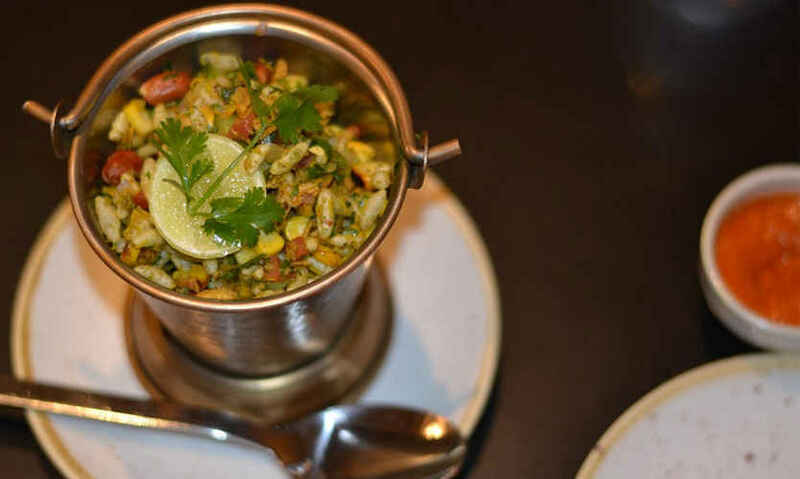 We also sampled their Corn Bhel, which comes with torched corn, cucumber, cilantro, tomatoes, onions, rice puffs, and tangy tamarind sauce so in case you’re looking for something healthy, you know what to gorge on. Go try! Then came SPDP - Semolina puffs with dahi and papdi, in short, gol-gappas! It came with mashed potatoes, yogurt and white peas nicely added. If you too, like us, had always related gol gappas to being somewhat unhygienic, you can always come here for your fill! They presented it to us in the most fashionable manner which made it all the more difficult to resist. To quench our thirst, we went in for their Chocolate Shake with creamy vanilla ice cream and a little kitkat on top, as well as their Teekha Lemonade - orange juice with green chilli, roohafza and black salt liberally mixed together. While the former would appease to those with a sweet tooth, the latter would be enjoyed by everyone! 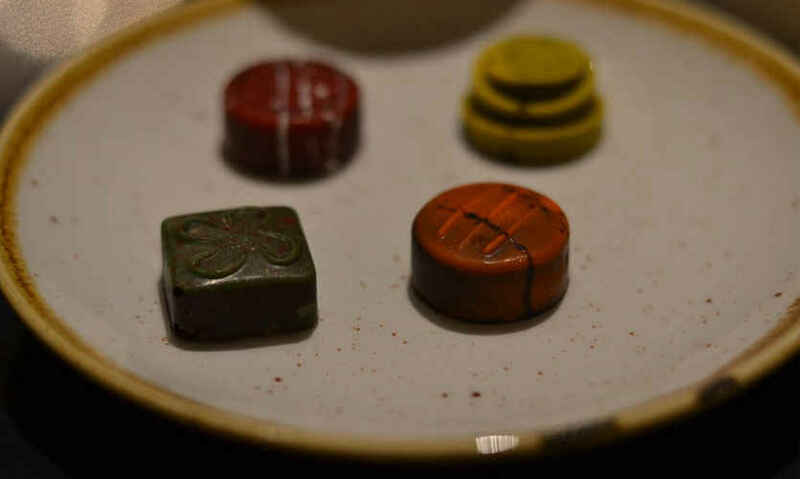 And since no meal is ever complete without desserts, we tried their range of Assorted Chocolates with an Indian twist. They regaled us with flavours like Paan, Aam-Papad, Orange Candy Flavoured Chocolates which would make anybody nostalgic and crave more and more! Also, we&apos;re happy to tell us that they&apos;ve got Happy Hours until 7:30 PM in case you wish to enjoy 50% off on their astounding macarons & cakes. A tea addict is likely to linger around this place very often. Go try!